As we have written several times about possible hypotheses regarding the overlap of epileptic encephalopathies and known recessive human diseases including metabolic, storage and neurodegenerative disorders, I thought that I would explain both concepts in this figure. 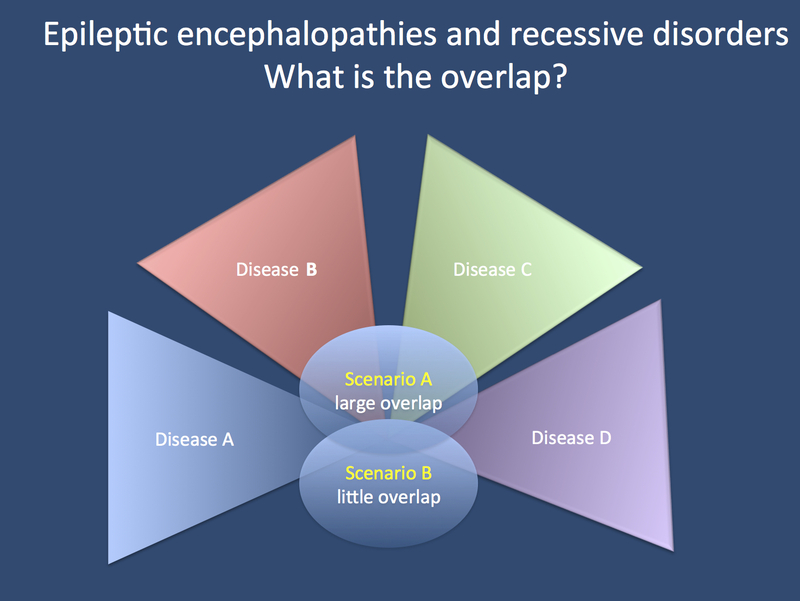 In Scenario A, there is a large overlap of these diseases with the epileptic encephalopathies, in Scenario B, there is little overlap. The shades of the triangles should signify the gradient from typical to atypical presentations.